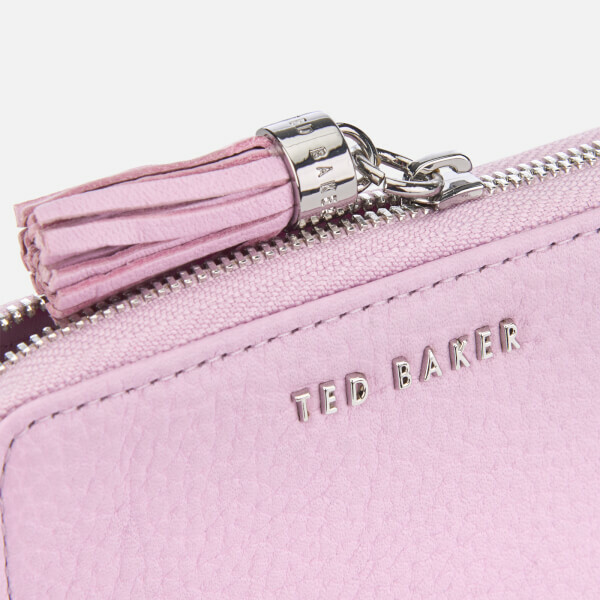 Small leather 'Sabel' purse from British fashion brand Ted Baker. 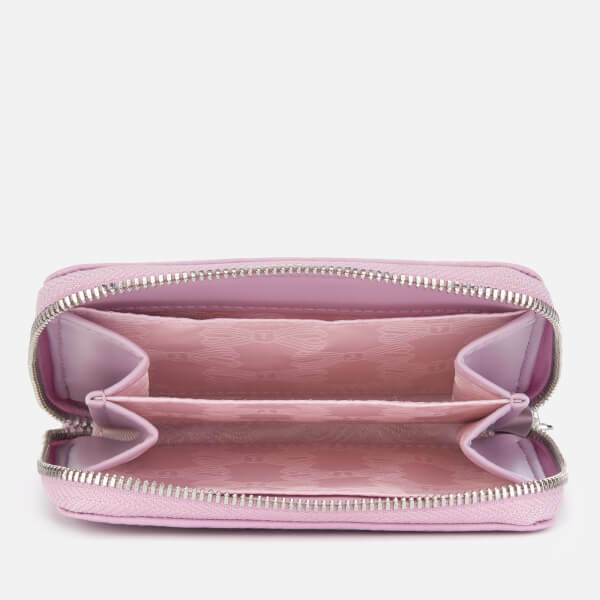 Presenting a luxurious pebbled texture, the lilac wallet features a zip-around fastening with tasselled zip pull and a rear slip pocket. 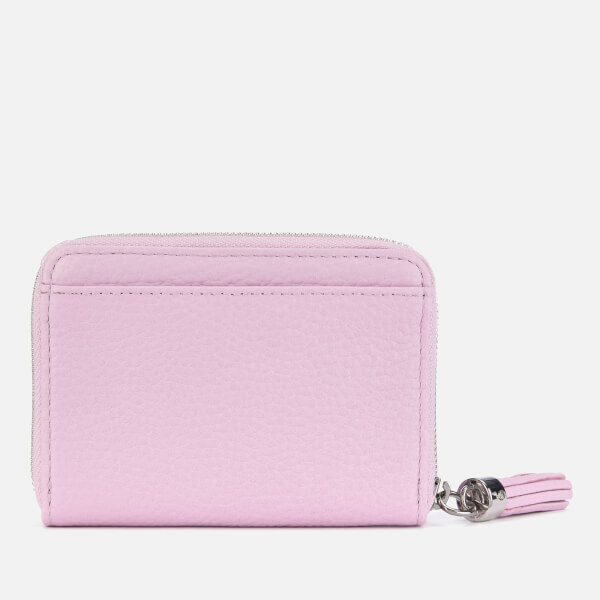 Inside, there is space for coins, notes and cards. 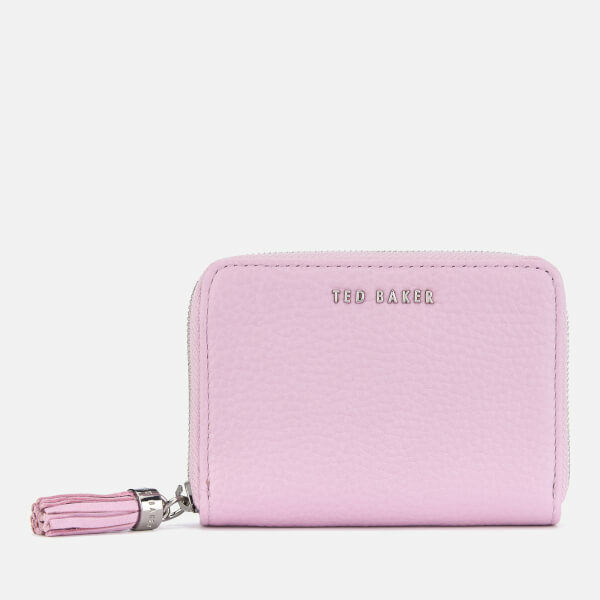 Metallic logo detail adds the finishing touch.